This paper explores how gender differences affect wayfinding strategies and how gender differences and wayfinding preferences can explain variances with situation awareness (SA) in dynamic environments. Four hypotheses were tested: H1: women navigate better from landmarks cues. H2: men navigate better from cardinal directions (i.e., south and northeast). H3: women have better SA than men when given landmarks directions. H4: men show better SA when given cardinal directions. In this study, 38 participants drove a driving simulator twice — once with landmarks and once with headings instructions. These two types of instructions were presented in a random counterbalanced order. Participants answered SA questions specific to the driving scenarios while they were driving the driving simulator. Participants’ driving performances, questions’ answers, and response times were recorded so that their accuracies and performances were determined by a post-session replay. The results showed participants navigate better from landmark cues regardless of gender. Men showed poorer SA in landmark conditions than in headings conditions, but there was no significant difference in women between landing and heading conditions. However, overall, women took longer than men to answer questions in all conditions. SA is a fundamental requirement for effective flying and this skill has greatly been associated with pilot performance. As such, this study can be beneficial for pilots’ selection and training for male and female pilots. For example, appropriate training can improve the response time of females, and improve the spatial ability of male pilots when they are navigating by runway and taxiway landmarks. 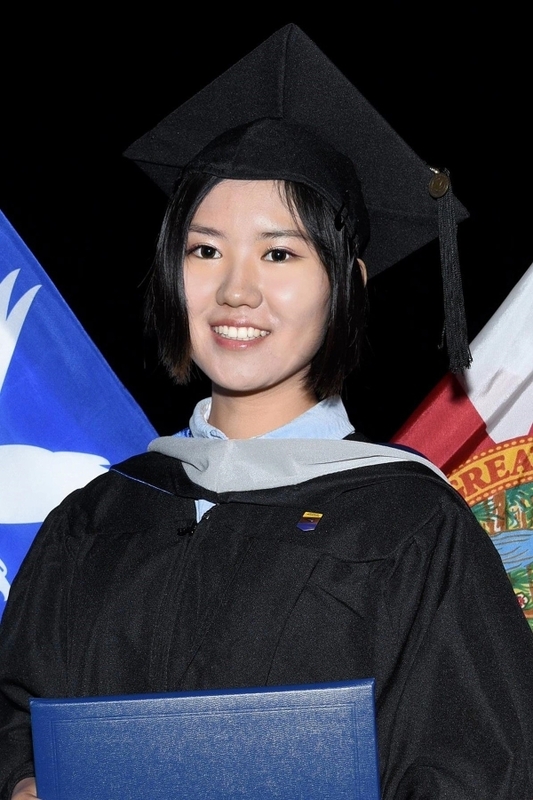 Ziyi Dong is a 2018 graduate of Embry-Riddle Aeronautical University with a Master of Science in Aeronautics with a specialization in Aviation Safety. She has been assisting with Dr. Andrew Dattel in the Cognitive Engineering Research in Transportation Systems (CERTS) Lab since April, 2016. As a researcher, Ziyi studies Human Factors, Human Performance, situation awareness, training, and in-attentional insensitivity initiatives.